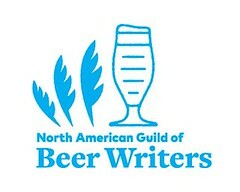 Brewers Association changes its definition of 'craft' brewery ... again! When Charlie Papazian spoke in front of the 2013 Craft Brewers Conference in Washington, D.C., the Brewers Association's president and founder pointedly avoided using the phrase "craft brewery", saying instead, and often, "small and independent brewery". Something was afoot. And, now, we may know what. Late this past February, the Board of Directors of the Brewers Association (BA) —the advocacy group for 'small' breweries in the U.S.— made a crucial change to its definition of 'craft' brewery. Breweries that brew with the very traditional American ingredient, corn, would no longer be peremptorily excluded from the definition of 'traditional'. And neither would 'small brewery' beers brewed with corn (or rice, or, more precisely, any non-barley fermentables). Or, as Joe Sixpack, Don Russell, put it: "Corn is officially unevil." Traditional: A brewer that has a majority of its total beverage alcohol volume in beers whose flavor derives from traditional or innovative brewing ingredients [emphasis mine] and their fermentation. Flavored malt beverages (FMBs) are not considered beers. Now, with the BA's maize about-face, America's oldest and largest American-owned —and family-owned— brewery, Yuengling, has become a 'craft' brewery. Its flagship beer, Yuengling Lager, brewed with a surfeit of corn, has become a 'craft' beer. There are other smaller breweries that brew with corn, which can now join the Association, as well. The BA will welcome them, and their concomitant support, money, and expertise. The old definition was was a self-punishing exclusion. This new one was a long time coming, but, nonetheless, it's a welcome change, and the Association is to be commended for it. If you remember, in 2010, the BA also changed its definition of small, making it a lot less small. It upgraded the size limit for breweries from annual production of 2 million barrels or less ... to 6 million barrels. In other words, as the BA put it, it stopped penalizing member success. Or, in other words, it no longer had to worry about losing the advocacy and financial support of its largest member, the Boston Beer Company, who, at that point, was right at the 2-million barrel threshold. In the new definition, the BA has kept this larger size but has appended a strange, self-defensive, parenthetical comment, noting that 6 million barrels is only 3% of the total beer produced in the U.S. annually. Okay. But why is 3% the magic number? Why not, say, 2% or 5%? If the total beer number changes, and thus the percentage, will the BA's cap change accordingly? The Board also made some alterations to the Brewers Association's purpose, mission statement, and core values. The first is now stated as: " To promote and protect American craft brewers, their beers, and the community of brewing enthusiasts." Very striking was its change to the BA's mission statement, which now elucidates, with several bullet points, a bold goal: "By 2020, America's craft brewers will have more than 20 percent market share." According to the BA, 'craft' beer sales in 2012 were 6.5% by volume of all beer sold, or 10.2% by dollars ($11.9 billion) 3. So, 20 in 20. That's a big jump and that's only six years from now. But, we can drink to that. And, now, America's oldest and largest brewery will be right there, alongside us. 1 Read the entire statement at the BA's website: here. 2 The old definition is no longer posted to the BA's website. You can read it here. 3 The BA collates and posts statistics on the 'craft' brewing industry. Read more: here. Read Don Russell's (aka Joe Sixpack) essay on the history, meaning, and consequences of the corny change: here. 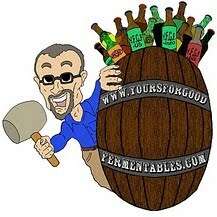 Alan McLeod of A Good Beer Blog disagreed with the change. On Twitter, he said: "I could not respect it given past overly wrought statements. Read his full dissent at A Good Beer Blog. There are some 'craft' beer drinkers who passionately eschew corn as a 'bad' adjunct, while commending wheat and sugar —both fairly flavorless adjuncts themselves— as 'good.' Their reasoning goes that hefeweizens and Belgian beer are made with these diluents, and produced using techniques, yeast, and other ingredients to boost flavor. So, they are are good. A historical analysis of why American brewers have brewed with a proportion of grains other than barley, principally corn, reveals nothing inherently pejorative. Rather, it's a history of need, intent, and method. To these zealots, however, corn can never be a good thing, simply because modern mega-breweries have abused its use (and rice) as flavor-reducers. Canonical blathering!